It is just plain wrong to categorise the bogan as a straightforward, simple creature. There is nothing simple about naming a child “Mhadeziyn”, attempting to perch atop a revolving system of four different interest-free finance facilities, and clutching seventeen different mutually exclusive conspiracy theories about foreigners, allergies, and corporate fat cats. That’s right, the modern bogan is a seven-sided Rubik’s cube of mystery. Gone are the days where it would happily lunch upon a humble beef burger, a packet of salt and vinegar chips, and a can of Sunkist. This caused much hand-wringing in snackfood and fast food boardrooms around the nation. “Had the bogan become less ravenous?” one asked. No, the bogan had not become less ravenous. “Had the bogan become more tasteful?” another well-intentioned staffer enquired. No, the bogan had not become more tasteful. A Contiki Tour in three 200 gram boxes. The boardroom clocks ticked loudly, and a few board members shuffled their papers to distract from the fact that the meeting had ground to a complete halt. Others in the room awkwardly looked out the window, wishing for an urgent reason to be elsewhere. Out the window, down in the car park, a bogan was doing doughnuts in a fluorescent ute. Attached to the ute was a trailer, on the trailer was a Jet-Ski, and on the Jet-Ski was the bogan’s friend, riding with no hands. Seconds later, the Jet-Ski rodeo bogan was thrown off the Jet-Ski, landing in a puddle of its own elbow cartilage. Clearing his throat, a board member addressed the room. “The bogan has become much more deluded”. Yes. Six weeks later, the snackfood company re-released its salt and vinegar chips. As “Rock Salt and Balsamic Vinegar”. Salt from exotic rocks. Vinegar from exotic… balsams. The bogan didn’t mind that the price was 50% higher. After all… rock salt! Sales soared. The constantly mutating vagaries of the bogan mind had once again been skewered by nonsensical branding. Soon, no bogan wanted a beef burger unless it was an Angus Beef Burger. And “blood orange” flavoured soft drink was seen as both more maxtreme and more prestigious than stupid old plain orange. It was thrillingly irrelevant whether there was any discernable difference in ingredients or taste. This is because the bogan wants to remain deeply within the comfort zone of its palate, whilst still projecting the illusion of fashion and progress. The bogan craves these superfluous ingredient descriptors, and consuming something pointlessly, functionlessly overwrought adds additional layers of meaning to its existence. An Ed Hardy t-shirt for the mouth. 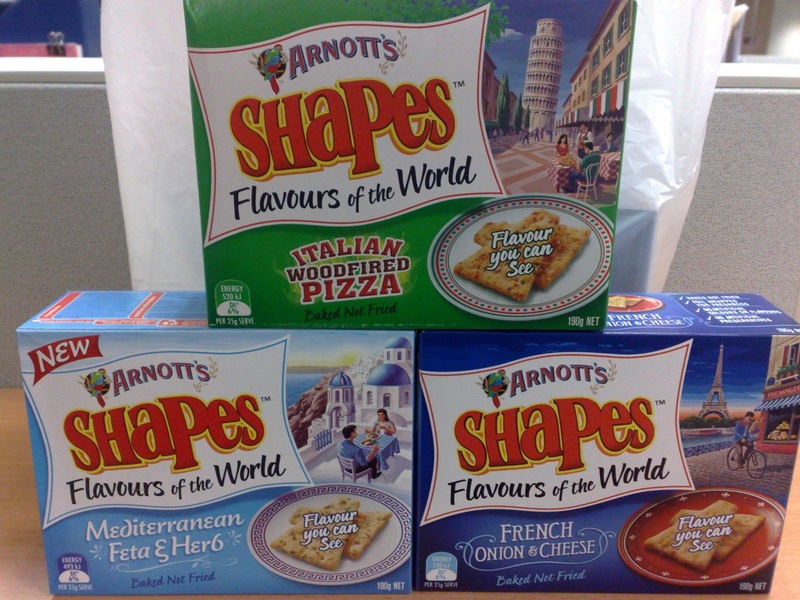 If Arnott’s releases a gourmet version of Shapes called “Cracked pepper, Mediterranean feta, French onion, crispy chicken, flame grilled steak, roasted garlic and peppercorn” (all of these terms have appeared in Shapes names in recent years), the bogan’s biscuit-purchasing fervour could only be heightened further if the product was also dubbed “limited edition”. The bogan is a moron.